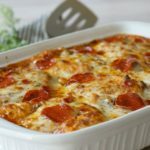 Welcome to the new Forks and Folly Series, Kitchen Stories, featuring my family’s favorite movies and books paired with a themed menu or recipe. We’re kicking off with “I Will Never, Not Ever, Eat a Tomato” by Lauren Child and sharing our Moonsquirter Pasta recipe. Enjoy! 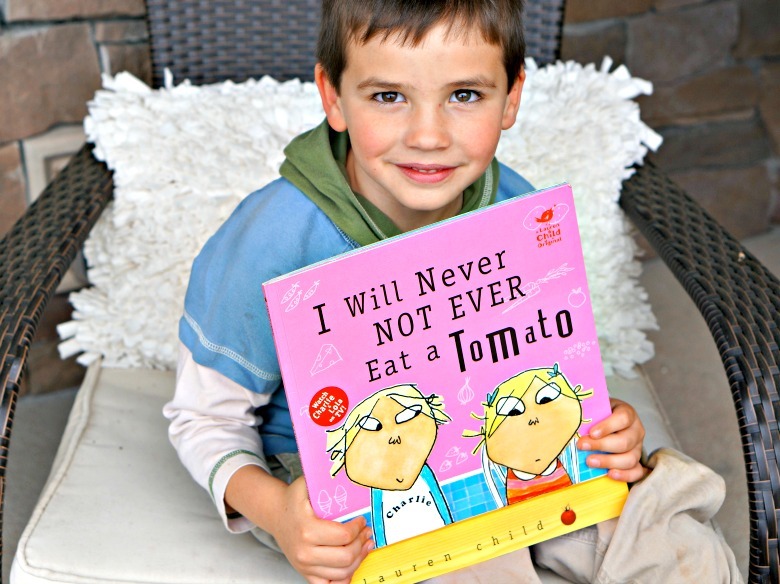 I find it ironic that my middle child, Will’s, favorite book is “I Will Never, Not Ever, Eat a Tomato.” Like Lola in the book, Will is a stubborn sort. He’s determined not to eat the things served to him. But tell him a good story? Well, that might make him reconsider. In “I Will Never Not Ever Eat a Tomato,” typical dinner fare is shunned by the picky little eater. Then one day her big brother, forced to feed her a meal, presents the food in a new light. Mashed potatoes become cloud fluff from the pointiest peaks of Mount Fuji, and carrots are transformed into orange twiglets from Jupiter. Likewise, dreaded tomatoes are turned into moonsquirters. 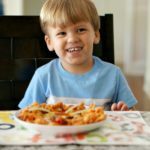 In the spirit of the book, Will and I decided to make a recipe for Moonsquirter Pasta. 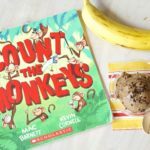 Chock full of tomatoes moonsquirters, carrots twiglets from Jupiter, and celery fairy slides I think your little ones will love this recipe as much as we do. 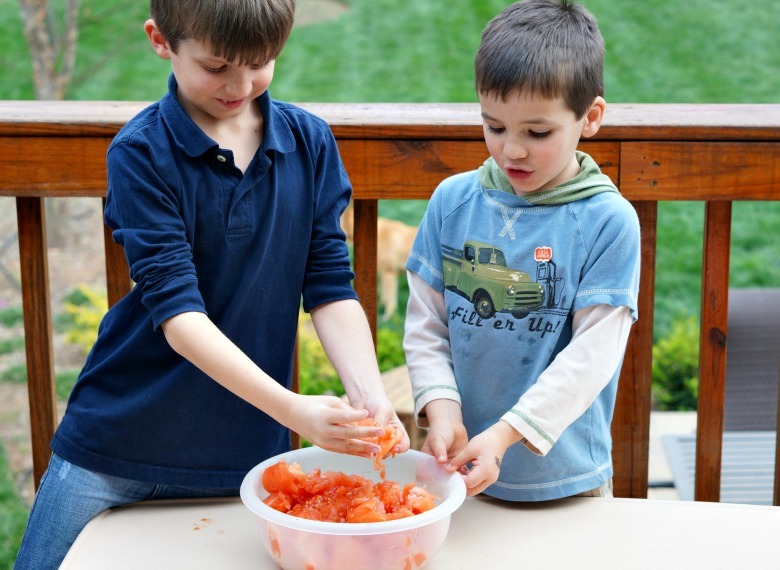 Plus, it’s super fun to have the kiddos help you in the kitchen. Turns out peeling and squishing par boiled tomatoes feels just like a moonsquirter should. At least that’s what Will and I decided. First we gotta get those moonsquirters ready to be turned into sauce. 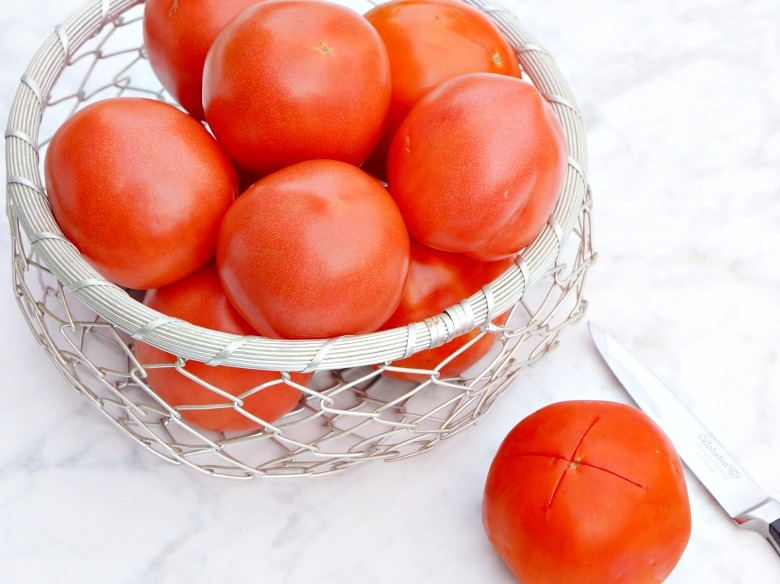 You’ll need to score the bottom of each tomato, drop it into boiling water (for just a minute or two), then drop it into ice water. Once that is complete, the skins easily come off. Might as well take the cores out, too. This is the part that most kids really enjoy. It’s time to get squirting. Squish up those tomatoes with your hands until you get a chunky consistency. Call you big brother in to assist if necessary. 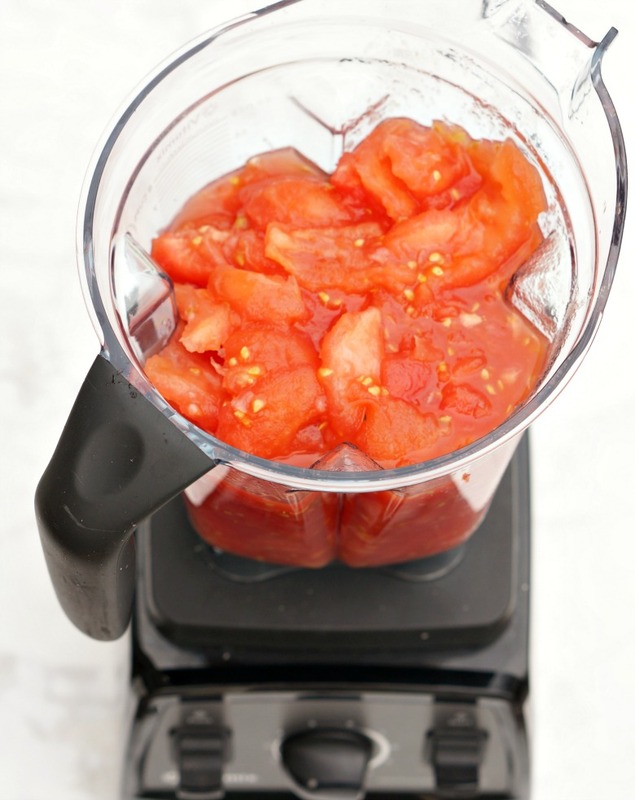 Plop the tomatoes into a blender or food processor and puree until smooth. Now, it’s time to get cooking. 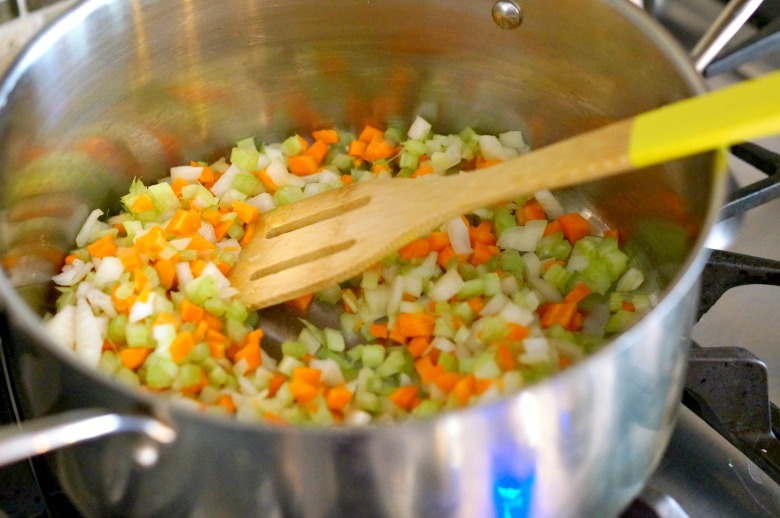 Cook the onion, celery and carrots over medium heat with the oil until the veggies are softened. Add in the garlic and stir constantly for another minute, or until fragrant. 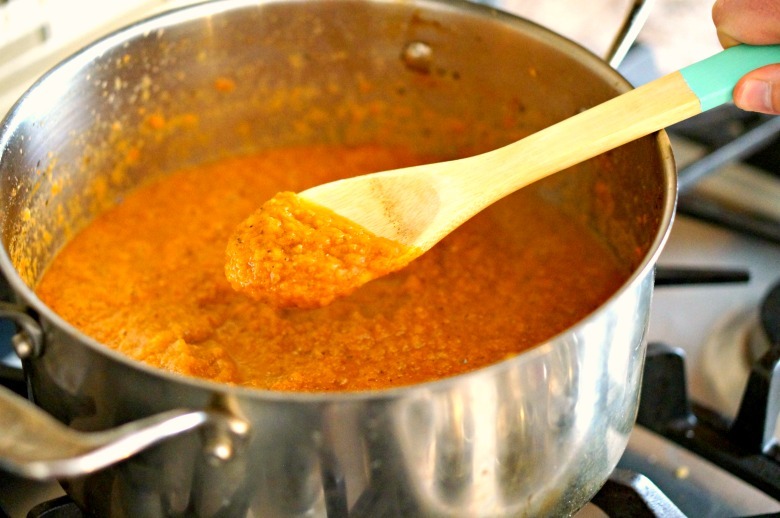 Using an immersion blender, puree the sauce until you get the consistency you like, and add in the parmesan cheese. Double-check seasonings, adding an additional dash of salt and pepper if necessary. 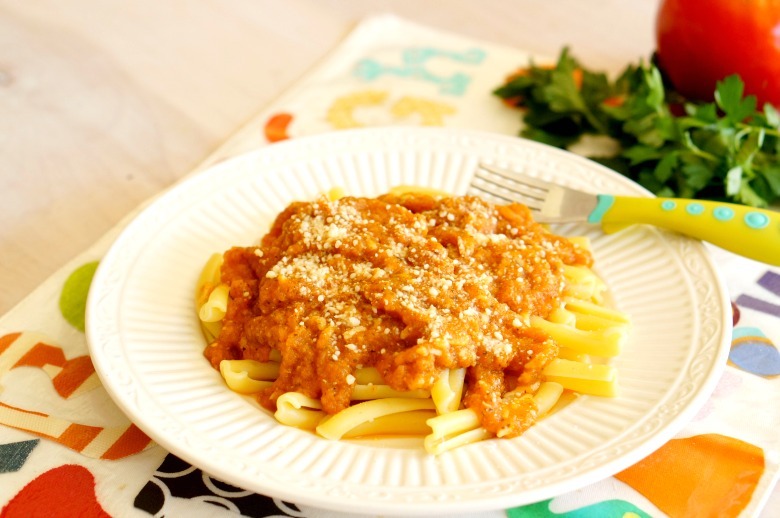 Serve over pasta and enjoy! Welcome to the new Forks and Folly Series, Kitchen Stories, featuring my family's favorite movies and books paired with a themed menu or recipe. 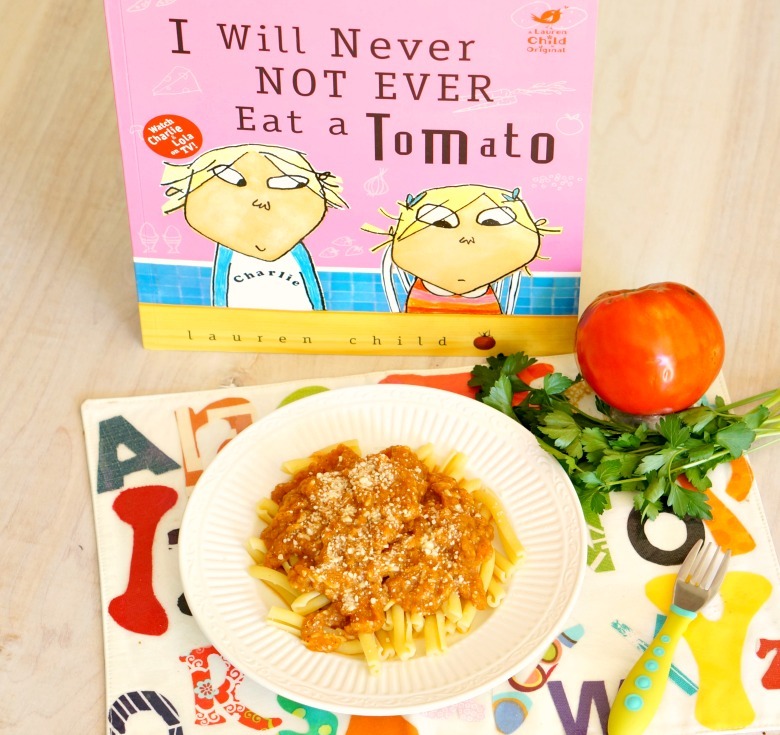 We're kicking off with "I Will Never, Not Ever, Eat a Tomato" by Lauren Child and sharing our Moonsquirter Pasta recipe. Enjoy! First we gotta get those moonsquirters ready to be turned into sauce. 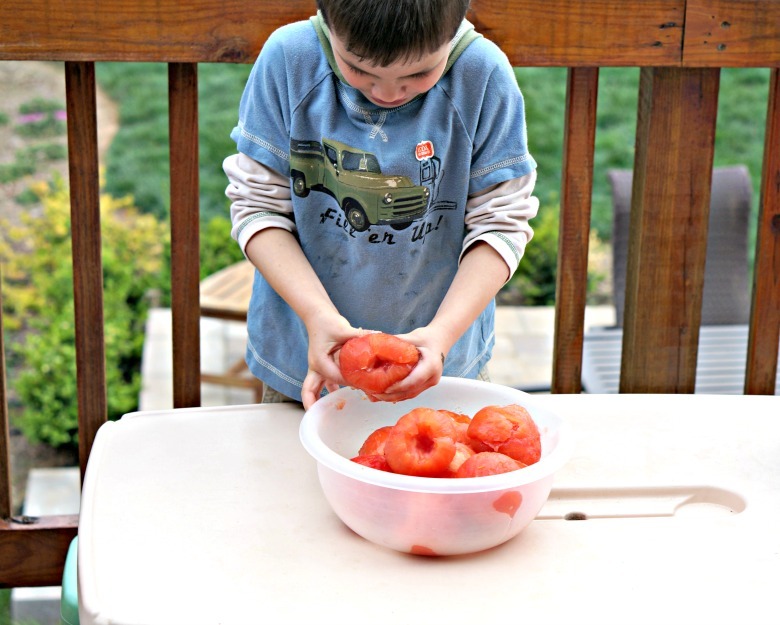 You'll need to score the bottom of each tomato, drop it into boiling water (for just a minute or two), then drop it into ice water. Once that is complete, the skins easily come off. You'll want to take the cores out too. This is the part that most kids really enjoy. It's time to get squirting. Squish up those tomatoes with your hands into you get a chunky consistency. 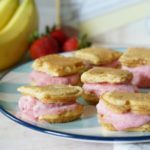 Plop them into a blender or food processor and puree until smooth. Now it's time to get cooking. 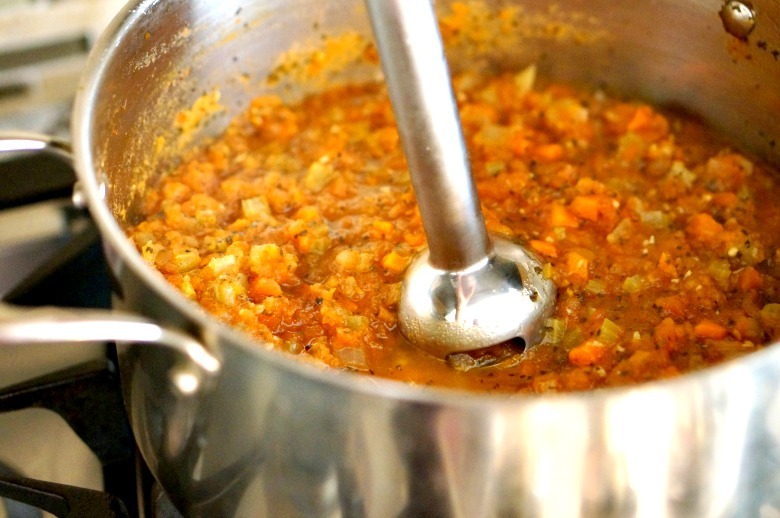 Cook the onion, celery and carrots over medium heat with the oil until the veggies are softened. Add in the garlic and stir constantly for another minute, or until fragrant. Now pour in your tomatoes, and add the basil, sugar, salt, pepper, and vegetable stock. You'll cook this mixture over low heat for a few hours. At least 1 and a 1/2 uncovered, and covered for any additional time you simmer the sauce. Using an immersion blender, puree the sauce until you get the consistency you like, and add in the parmesan cheese. Double-check seasonings, adding an additional dash of salt and pepper if necessary. Serve over pasta and enjoy!